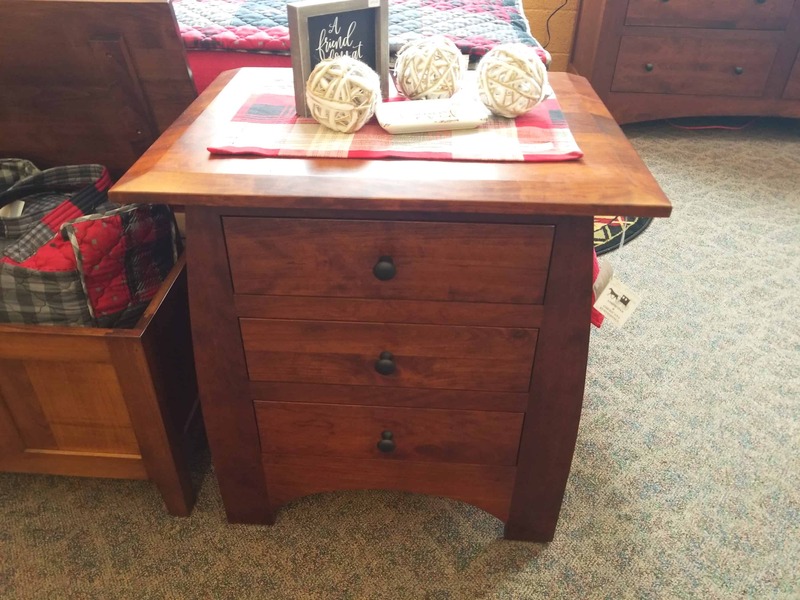 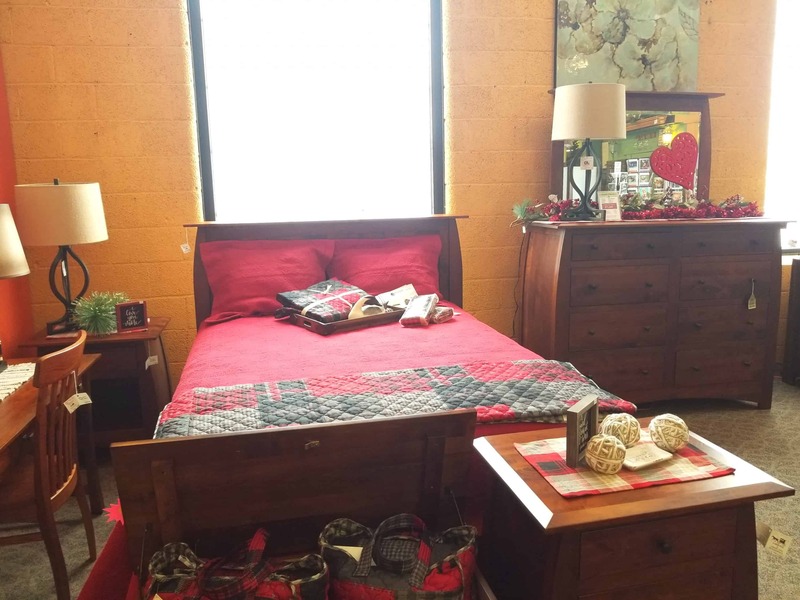 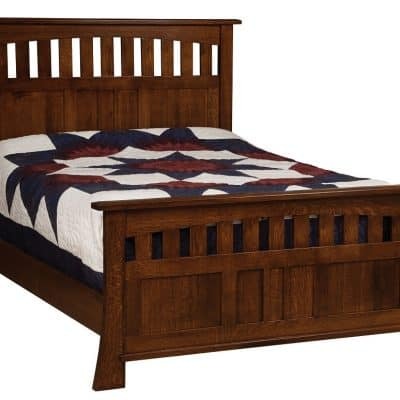 Bordeaux Bedroom Set, Shown in Rustic Cherry with a Michael’s Cherry Finish. Other stains, woods, and colors are also available for special order. 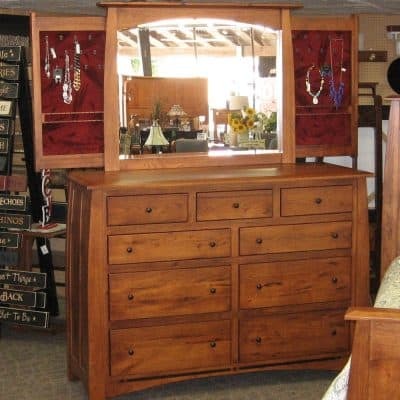 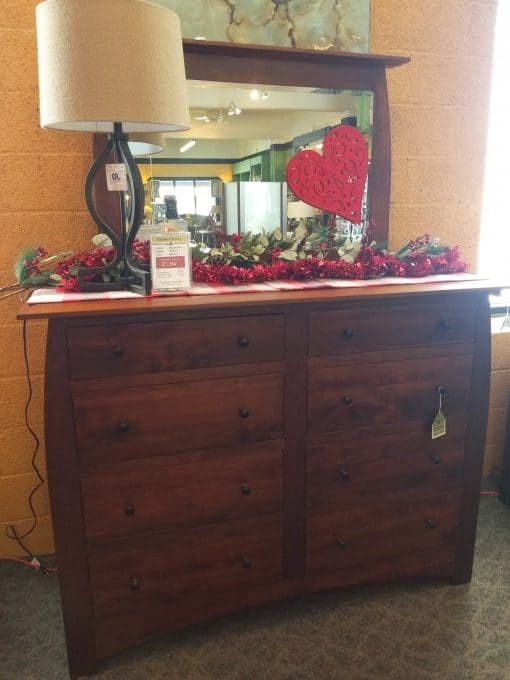 This set includes the: Bordeaux Queen Bed, Bordeaux Dresser/Mirror a 3 Drawer Nightstand, and a 1 Drawer Nightstand. 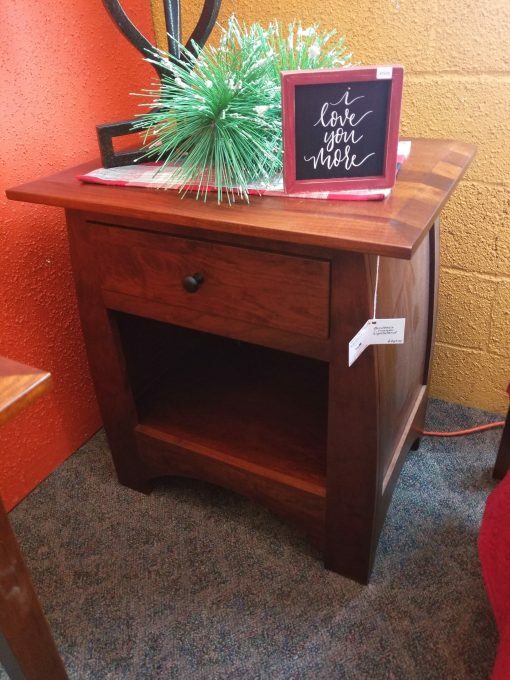 Pictured but not included: The Waterfall Chest, The Mary Ann Side Chair, and the Tyron Writing Desk.